Cancer is a disease that touches every family directly or through friends. There are a large number of diseases termed cancer that have been identified and are associated with various parts of the human body. In this experiment, control and simulated patient samples will be provided for students to test. There are no human or animal materials. 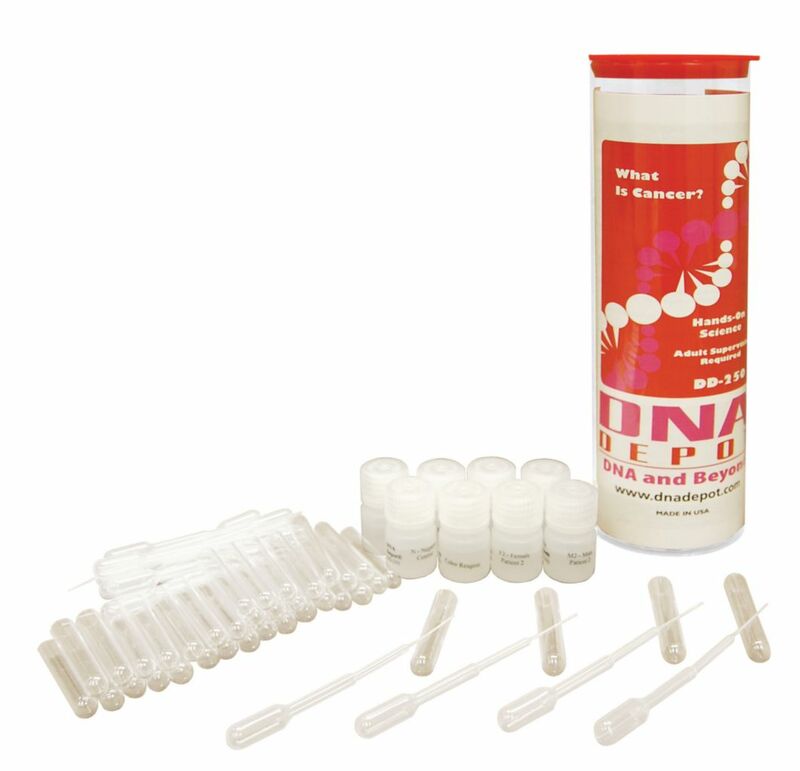 Includes: positive and negative control samples, two patient samples, reagents to perform the detection test, test tubes, transfer micropipets, content background, experiment procedures, safety information and assessment questions and answers.